Mario - the first person I met on my last day in Havana. Almost every time I exited the Casa, and didn't turn right to Neptuno, I found myself turned around within a couple blocks. The second time I passed Mario he said something to me that I think was Spanish for "you returned". He smiled, I asked for a photo, and he smiled again. Mario is 98 years old! He's in dire need of a toenail clipping but moving along pretty well otherwise. 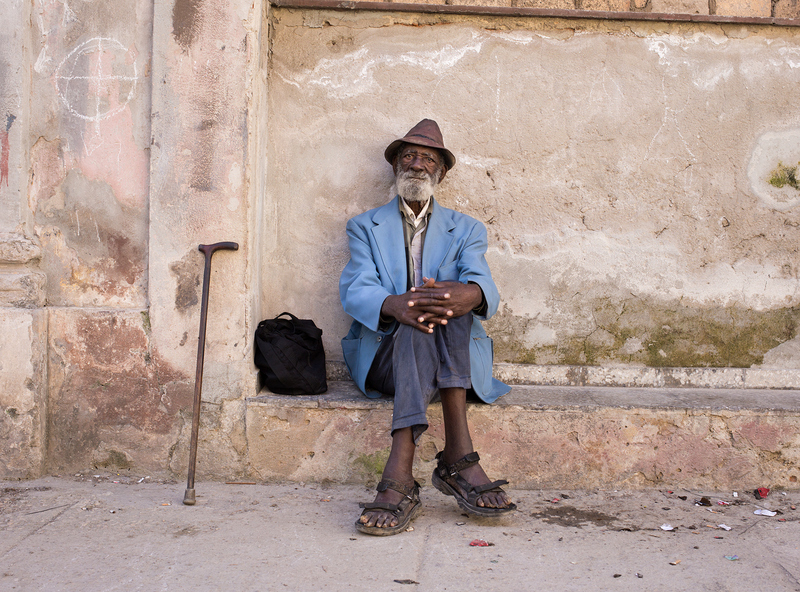 One of the things I noticed the most while in Cuba is how long folks live, I met so many over 90 and one woman was 101!